The move towards the self-sufficient ARG: While the majority of the “big budget” games continued to have marketing tie-ins (with corporate dollars attached), Perplex City continued to turn heads for their efforts to create an Alternate Reality Game that is large in scale but is maintained through its own sources of revenue. The partnership between game creators Mind Candy and UK retailer Firebox has proven to be successful for both sides, and a recent influx of capital funds by Index Ventures, a major venture capital company, shows that ARG is becoming big business the world over. Will 2006 be the year where we see more companies take the step towards producing ARGs en masse? Television networks and ARG: In August, the BBC unveiled Jamie Kane, an ARG designed for a teenage demographic that is still active, due to its play-per-day design (a person can sign up today and play through the action one day at a time, which concludes after fifteen days of interactive updates). We found Jamie Kane to be more of an experiment than a marketing campaign, and while it wasn’t a direct tie-in to any specific BBC programme, it certainly brought Alternate Reality Gaming to a wide audience in the United Kingdom and across Europe. Canadian network The Movie Network also took a chance on ARG in late 2004 by incorporating an “extended reality” with the series ReGenesis. Then, when the series went into syndication on Global, the game was reset and became replayable for a much broader audience. With both campaigns proving that Alternate Reality Gaming is an adaptable, interesting way to get people involved through meaningful interaction, we expect to see more of these kinds of cross-media promotions. The blockbuster real world events became… huge: If you could go back in time to January of 2005 and tell the average ARG player that their year would be full of spy missions, poker in cemeteries, and a daring helicopter escape by an in-game character, what do you think their reaction would be? Incredible as it sounds, all of these things happened in 2005. The Art of the Heist featured multiple real-world events, starting with the theft of a car at its launch to a spy mission at a major music festival, concluding with a brilliant finale in Santa Monica, California. Last Call Poker included weekly poker events in graveyards across the United States where players would end up receiving a radio transmission pointing them (and the thousands playing at home) towards the next stage of the game. And, players taking part in a Perplex City live event found out that they were the victims of a planted spy before watching as the mole ended up darting away in a flashy black helicopter. We think its safe to assume, using these Hollywood-level live events as evidence, that Alternate Reality Gaming has definitely hit the big time. The grassroots movement continues to thrive: This past year saw a boom in grassroots Alternate Reality Gaming efforts and the field of 2005 was rather rich with excellent game play, as well as some great story lines. The third incarnation of Alias-themed ARGs, Omnifam, was discovered in May and lasted for seven months before signing off in December. 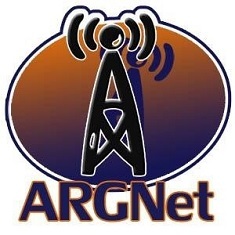 June saw the suprising launch of ARGTalk, which had been previously known in ARG community circles not as a game, but as a discussion/opinion blog. In keeping with the ‘inward eye’ theme, Seen Steve was a parody ARG that launched in July and provided an interesting look at the genre and the community over the course of three gut-busting weeks. Other games that kept players busy in 2005 included Strange Dreams 1 & 2, Rookery Tower, The Carer, Ares Station and Anyone Seen James?. More recently,Vaporlofts was unearthed and continues to run — it is a quality game that’s been attracting more and more players the longer it’s been running (a monumental feat for a grassroots effort). After a few months of delay, Orbital Colony launched and has picked up considerable steam. Despite its origins as a Puppetmaster training exercise, it’s been a wild ride already with good puzzling, and entertaining content. QUI3E (launched in November) has garnered a large player-base with its enigmatic puzzling and storyline as well. Additionally, there are other grassroots efforts that have created some buzz for 2006 through pregame efforts launched in 2005, such as Project Gateway 2. All of the games mentioned here have shown that grassroots ARGs can mirror the quality of game play of commercial products any day when well planned. Here’s hoping that 2006 gives us more and more great gaming opportunity! Social events getting better and better, and happening more often: As the Alternate Reality Gaming community continues to grow, so do the real world events that draw in the crowds from the world over, and 2005 seemed to be the year for social interactions. When ARGFest IV was announced in January, no one could expect that the get-together in July would turn into a full-blown conference, complete with round table discussions, guest speakers, and a city-wide quest that took players into the subways and onto the Brooklyn Bridge. The organizers of the NYC weekend are still receiving accolades for the show they put together just six months ago. One of the other major organized events of 2005 was the Hivemeet in Chicago where players of the I Love Bees ARG (as well as other community members) had a successful and entertaining meet-and-greet event. Along with these community-driven events were numerous activities associated with the ARGs of 2005. Perplex City players and card collectors organized for card swapping sessions, while attendees of the Last Call Poker Tombstone Poker events usually had some sort of post-event plan ahead of time that involved food, drink and merriment. It became very clear in 2005 that, while the games continue to be of high quality and value, it is the community that is the ‘heart and soul’ of Alternate Reality Gaming. Press coverage and awards for Alternate Reality Gaming: In many ways, 2005 was the year the world started talking about ARGs. There were many things that captured the attention of journalists, including the success of 4orty2wo Entertainment’s I Love Bees in 2004, the multimedia blitz for the Campfire/GMD Studios production Art of the Heist and 4orty2wo’s Last Call Poker, and the $3 million dollars in venture capital granted to Mind Candy’s Perplex City. ARGs and designers were mentioned in such publications as The Observer (London), The Boston Globe, CNET, East Bay Express, Wired, Now Playing, The Age (Australia) and The Daily Texan to name but a few. The media attention has been almost overwhelmingly positive and developed more name recognition for the genre. Several ARGs received major awards in 2005. Art of the Heist won Best in Show at the MIXX Expo, along with gold awards for Product Launch and Online Integration and a silver in the Viral, Word of Mouth, Peer-to-Peer category. I Love Bees received a MIXX gold in the same Viral category. ILB also won a Webby award for Games-Related Site, and the IGDA award for Innovation. ReGenesis was nominated for a Gemini award (Canadian equivalent to an Emmy) for Most Popular Website, and won a Canadian New Media Award for Excellence in Cross Platform. Our sincerest congratulations to all nominees and winners. The ARGN Group Read of “The Daughters of Freya” We were extremely happy to be involved in a unique opportunity with “The Daughters of Freya”, an interactive group read that took place over the course of three weeks in August. We were given the chance to experience the email-driven narrative in June, and were excited and pleased when we were able to get a group of people involved with a special version where all group members would be given the updates at the same time, rather than each having their own schedule. From all accounts, the people who got involved really enjoyed the experience and we were very pleased with the feedback we received. The literary world and Alternate Reality Gaming: There were three books published in 2005 (in print and digital versions, in some cases) that attempted to tackle the perpetually growing genre of ARG. The year began with the release of Dave Szulborski‘s This Is Not A Game: A Guide to Alternate Reality Gaming, which became an instant hit at online bookstore Lulu.com. Szulborski returned to the bookshelves later in the year with Through the Rabbit Hole: A Beginner’s Guide to Playing Alternate Reality Games which looks at the world of ARG through the eyes of a new player. You can get more information about Dave’s books at Through the Rabbit Hole or Immersive Gaming. In between those two releases came Beyond Reality: A Guide to Alternate Reality Gaming by John Gosney. This book is an interesting read, as it not only looks at ARG history, but provides a basic how-to webpage design section that could be useful for novice Puppetmasters. The rapid evolution of the Alternate Reality Gaming genre: Last year brought Alternate Reality Gaming theory further into the realm of game development and academic study. There were presentations about ARG at the Game Developers Conference (GDC) in San Francisco, the Digital Games Research Association (DiGRA) conference in Vancouver, the 4th ARGfest in New York, the Austin Game Conference, the Montréal International Game Summit (MIGS) and the New Media Consortium (NMC) conference in New England. The genre has also experienced a large growth in the number of ARG blogs — just look at our ARG blogroll on the right for a sampling — showing that more and more people are discussing ARG. In 2005, there was a newly created ARG Special Interest Group within International Game Developers Association (IGDA). Plus, not only are people writing academic papers on ARG, but one courageous group went so far as to develop a thesis through creating, developing and maintaining one of the more successful grassroots ARGs of the year in Ares Station. So what do we look forward to in 2006? Well… more of the same! The Alternate Reality Gaming revolution just keeps growing, and gaining more attention, with every passing year. After looking back at 2005, we are amazed at the progress that the genre has taken, and are in awe of the sheer amount of games that keep popping up all over the place. Let’s hope that 2006 is just as busy, productive and fun as 2005 was — thanks for a great year, ARG.